When it comes to link building experts, Jon Cooper of PointBlankSEO.com is right at the top of the list. For that reason, I wanted to bring Jon on the podcast for a second time (hear the first time here) to discuss link building tactics that are working right now. In particular, Perrin and I got a chance to ask about our authority site and actually get some personalized advice for how we should approach our link building. What I've always loved about Jon's advice is that it is not just short term tactic based. He truly tries to find the best way to acquire and attract links in a way that will last long term. These are strategies that really should work in 2015 and beyond. As I've mentioned before, Jon has documented all of his link building strategies in an excellent guide: The Point Blank SEO Link Building Course. I've been through the course myself, and have referred to it many times over the past couple of years. Jon keeps this course up to date and the tactics are white hat strategies that really don't change much anyway. I asked if Jon was willing to give a discount on the course to my readers and he agreed. You can get the link building course for 20% off…but only for the next 7 days. That is basically the check out page. If you want to see the full sales page before you get the discount, go here. Perrin and I enjoyed interview Jon, and below are most of the questions we asked. The answers are really only in an abbreviated format below, this is not a transcript. I have an SEO blog specifically on link building that I've built my business around. I've been focusing the last 6 months on just my SEO agency. I do still have my Link Building Course that I keep updated. And then I also have an Advanced ecommerce link building guide. 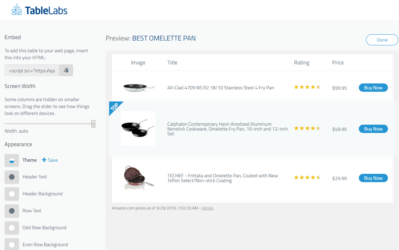 How did the launch of the Advanced eCommerce Link Building Guide? It went pretty well, but not quite as well as I had hoped. I may re-open it but never allow more than 500 total people buy it. Why would you limit the sales to 500 copies? Link building is a zero sum game. So, if everyone becomes an expert link builder some tactics loose potency. What kind of clients are you looking for in your link building agency? I could do a lot to get more clients, because I only want the certain amount of clients. We weed out potential clients based on the types of links we build (lots of resource pages and broken link building right now). Are you still involved in the eCommerce site that we discussed on our last podcast? Yes, I'm still involved there. However, I've shifted my focus a bit because I've been getting so many link building leads through my blog. So, I've decided to focus a bit more on where some of these opportunities are. It's difficult to grow a new business and still pull yourself in multiple directions. By picking one primary business, its had a huge impact on my bank account. We have an authority site and want your link building advice. What are some link building tactics we should implement? First, you should realize that there are not lots of “new” link building tactics out there. Pretty much every type of link building has been talked about and well documented on the internet. You guys mentioned that you have created a scholarship page to attract links. If you business doesn't apply to an academic area in a very specific way, you probably shouldn't create a scholarship. Getting links from just general scholarship pages just aren't doing much. There isn't much link juice on these pages anymore. If you find that your business is relevant to an academic area, then it's okay to use a scholarship page. Then you would only try to get links from scholarship pages that are relevant to that particular academic area. Without the relevance, it doesn't have a lot of merit. What else would you advise for link building? I think it's important for alot of people to realize that the impact of link building 5 years ago to today is much different. I've found more and more that you can't hide bigger issues on-site. You will be really disappointed with your link building efforts if you don't fix the on-site issues first. What are the biggest on-site issues that you see? It could be the architecture of the site? eCommerce site; making sure you have decent content on your category and product pages. Sites that get it right from the beginning are at a big advantage over those that had issues and try to constantly fix those. It could be duplicate pages or lack of unique content. What tips do you have for getting good links in general? Strategies can be very different depending on the niche that you are in. For example, if you look at beekeeping supplies. A lot of the best links for sites ranking well in this niche are just resource pages. There is a lot of low hanging fruit because they sell the supplies. These links are super easy to get. Contrast that from payday loans; there just isn't that many quality pages that you can get links from. So, depending on what niche you are in will really determine how easy you can get links. You can look at different sub-niches below you and your competitors and find out what types of links they are getting. I spend a lot of my time doing competitor research. Relevance is almost like the new PageRank as well. So, make sure you are getting links from relevant pages. What's the most efficient type of link building that people should focus on? You should focus on one large content asset. However, if you don't have the time, still try to create a resource that you know you can get links to. Then you should manually reach out to people that are likely to link to this resource. I would personally focus on a large content asset. The more time you spend on less content, the better chance you have that that content will get shared and linked to. You really need to be in the top 1 or 2%. There are a couple of types of articles that are naturally link worthy. First is just breaking news. If you can share something new, it will get linked to. The other type of content is the Ultimate guide to XYZ. For example, I did this on PointBlankSEO with my Link Building Strategies page. These types of guides may not immediately get tons of links, but over time they have great potential to. What tools do you use to reach out and get links? I use BuzzStream. My entire business is built around using BuzzStream. This one tool helps me keep track of all the emails, leads, and links that I'm trying to acquire. BuzzStream keeps track of response rates and more. How many responses do you get when you do outreach for links? I'm very focused on success rates. We've had ranges of success rates from 4% to 18%. Is your point blank SEO course still up to date? The Link Building course has been updated and its how I train my team. So, its definitely still up to date. The information if very much white hat; it's not the kind of stuff that changes with Google changes. Where should people follow along with you? Overall, Perrin and I really enjoyed doing the interview! Hopefully, you are able to get some valuable link building ideas from the podcast. 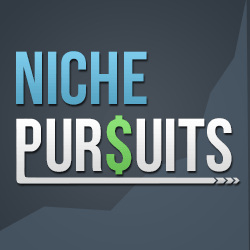 As a reminder, Jon was kind enough to offer the Niche Pursuits audience only a discount of 20% off his Link Building Course. You can see what the course is all about here (but only buy from the discount link below). Perrin and I have been implementing several of the tactics from the course and this interview to our new authority site, and we will be sharing more results in the near future. As always, I would love to hear any thoughts or questions that you may have about the interview in the comments below. Enjoyed the podcast. Jon doesn’t pull any punches, but he sure does know his stuff. I wanted to ask a question around your use of infographics on the authority site. 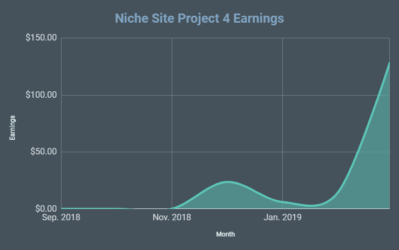 Perrin touched on one that he put together and leveraged for a high quality link, but are infographics a heavy part of your content strategy this go round or was this more of a one time deal? I know it can take quite awhile for the average joe to build a sleak looking graphic, but have you had any success outsourcing the development of infographics, like you might do for specific articles? Thx and keep the interviews coming! They’re not a major part of our strategy, no. We’re mostly focusing on outreach. That said, I did use an infographic to get some easy links. For example, if you submit your inforgraphic to Visua.ly, an editor will review it. If they approve it, you’ll get a dofollow link from a DA86 site. Of course, it’s not going to be relevant, but the DA is strong, and it’s really easy. There are plenty of sites like that out there, too (see QuickSprout’s Advanced Link Building Guide – Chapter Nine for a list: http://www.quicksprout.com/the-advanced-guide-to-link-building-chapter-9/). The other good think about infographics is that you can use them as a kind of guest post. You can email people in your niche and say, “Hey, I have this awesome infographic. I think your audience could get tons of value from it. If you want to use it, I’d be happy to write a personalized introduction for your site” (that tactic is also from the guide above). As for the creation, I’ve done it two ways. First, I created one on Piktochart using their pre-made templates. It took about 45 min to make and about 15 min to submit to infographic directories. So, it was about an hour of work and I got about 8 links. They’re not the best, and they’re not going to shoot me to the top of the SERPs, but it’s worth that hour for sure. For my personal new site, I paid a designer to create one for me (the same designer who does all my logos: http://www.suzdesign.com/). I paid $90 and it took her about 90 minutes. Of course, it looks about a million times better than what I did with Piktochart, and it will be much easier to use that one for outreach. Overall, it’s a decent part of a linkbuilding plan, since you can spent about an hour and get a handful of links to targeted pages (usually topic pages). 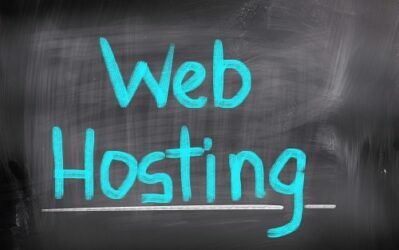 My friend has 4 sites that totally making $10000/PM with pure PBN link, stable ranking for 2 years. Yep. However, it’s getting more and more risky. 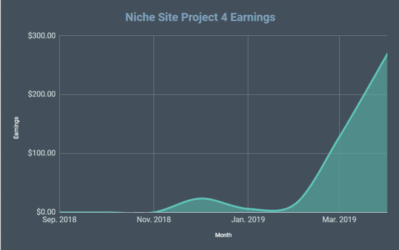 Spencer and I lost a combined $12,000/mo in income from the most recent round of PBN penalties, and our PBNs were about as private as you can get. They’re working for sure, but it’s certainly not a good long-term play. Great info, thank you! I must say that POINT Blank SEO site helped me a lot and I recommend it to anyone who is about to start building backlinks. I really like the tip about fixing on-site issues before doing backlinking. Yes, it needs to be resolved first! As usual Jon was extremely informative and his guide is simply awesome to refer. So timely, I was searching “past 12 months” for strategies that work currently. Since PBNs are out of the question, I wanted to find out what’s next. Thanks! Is this the same link building course that’s been up on Point Black for like 2 – 3 years? I’m guessing it’s been updated for current strategies? I need to find my user name and password again to take a peek . Yes, its the same course. However, it has been updated as needed. P.S. The scholarship strategy works like gangbusters! Mentioning that you had problems finding similar scholarships when you were in college seems to break down some barriers…. Guys. Save yourself some time, energy, and effort, Outsource your linkbuilding. Since the game changes constantly now, it’s better to focus on your core business and what you’re good at. Pay someone or an agency to take on your non-core business function of linkbuilding. Do what you do best and generate more income doing it. I just got it what kinda business you guys running with authority website. I will chip-in with SEO stuff to him. It is really a great podcast. For me, the most difficult part of SEO is link-building. I think I need t take a course to learn more. Jon’s course is a good start. Nice list, it took me half and hour to read all these points and keeping in mind my dumbness, if I start implementing all these strategies it will take a month. Don’t buy links. 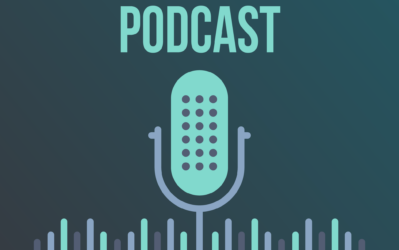 Listen to the podcast for suggested link building tactics. That’s correct, PBNs are no longer recommended. The podcast covers tactics that are recommended. This, easily, has to be one of the most boring podcast episodes I have EVER come across. The guest doesn’t seem to have a clue about what he is talking and what I love about it is how arrogant the dude is about the business that he owns and the work that he does (which he makes it sound more important than feeding the hungry children of Africa or something). Thanks Jon sir for sharing your valuable tactics on such a important topic, the most important point is article should be naturally link worthy. As always nice post. I have I question and wondering who could answer me that. What kind of link building would you recommend for not so big, narrow niche affiliate website. For kw who has only 4000 exact searches per month. I can see that other sites that are ranking in top 10 are using some PBN links and have nice amount of traffic and also nice rankings. But I don’t have and don’t want to use PBN links so any other suggestions? Thanks for sharing your valuable information on such a important topic, the most important point is article should be naturally link worthy. this article really help to work on my site . Such article are very informative. It really gears us to do right things. Pointblankseo always provided with a lot of quality information…enjoyed the podcast thoroughly. Could you go into a little more detail about education scholarships? For example, what would be the amount of scholarship dollars necessary to entice a .edu to report on your scholarship? Secondly, do you formally ask the institution for a link or just hope they give it to you? I don’t know if there is a limit, but $1,000 is certainly enough. Yes, you need to ask for the link. Fantastic show as usual. I especially appreciate how you get down to business with your show topics and don’t spend the first 10 minutes chatting about unrelated topics or over-promoting. You guys keep me coming back. Tell us, do you think using Web 2.0 properties for early link building (as suggested in your recent show with Doug C.) is an effective strategy? Do you think it runs the same Google penalty risks as a PBN?